This was the festivals first weekend of Hydro events and tonight’s concert was colourful and diverse with top quality music - both Burn’s songs and artist’s own compositions. When other big concerts were being held on the same night, it said a lot that the festival can also draw a crowd to the new Hydro venue. The RSNO (Royal Scottish National Orchestra) provided a wonderful backing for the songs. 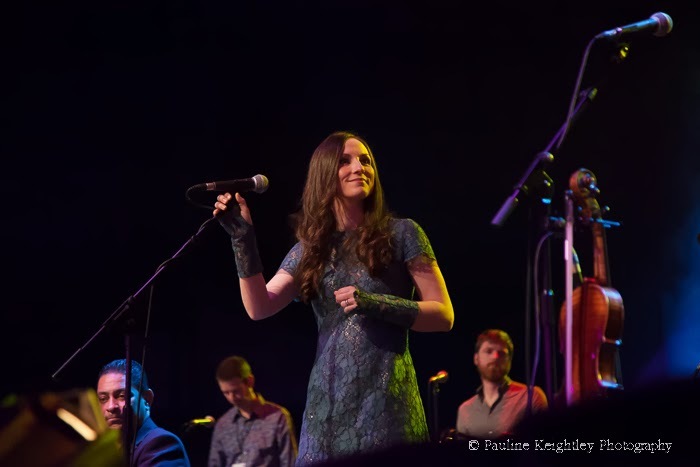 The concert showcased some of Scotland’s best loved folk artists that included singer songwriters – Dougie MacLean, Karine Polwart, Julie Fowlis, and bands Capercaillie and Salsa Celtica. Dougie MacLean sang Burn’s Ca' The Yowes To The Knowes and his own song This Love will Carry Me. 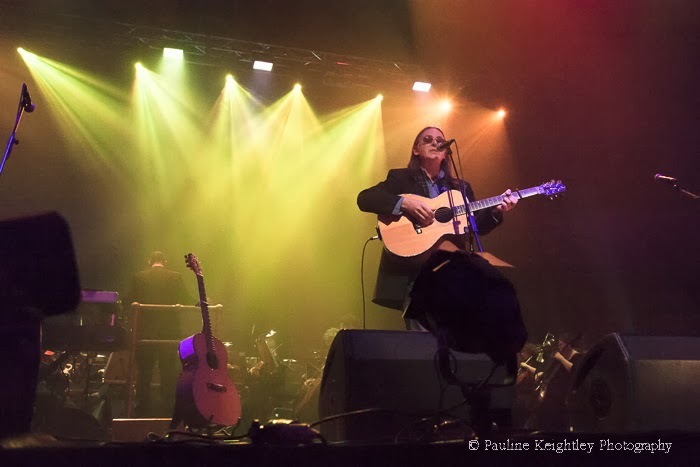 Karine Polwart performed beautifully one of Rabbie's best loved ladies love song Green Grow The Rashes O. I'm a big fan of both Dougie and Karine's music. International artists included - India’s Ragu Dixit Project who played a lively set along with colourful Indian dancers and The Mae Trio from Melbourne, who sang perfect harmonies the Burns song John Anderson My Jo. with a fine set of tunes. Red Red Rose and it is wonderful when a voice and guitar can hold a large audience spellbound - another perfect voice. 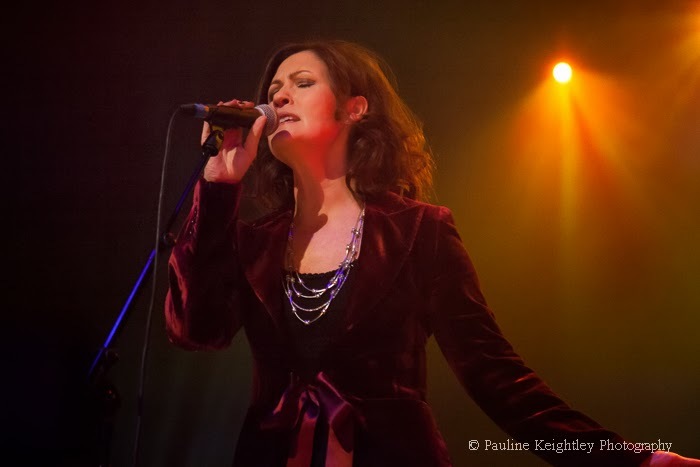 Capercaillie performed Donald Shaw award wining composition for the BBC tv series, Hebrides: Life on the Edge and Karen Matheson sang a favourite Burns love song Ae Fond Kiss. 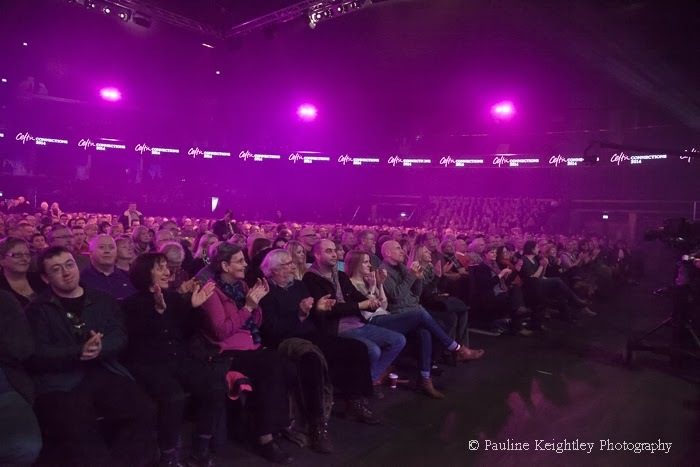 They were celebrating thirty years together and are led by festival director and composer Donald Shaw and his beautiful wife singer Karen Matheson. South Africa's Mahotella Queens who sing a close-harmony version of jazzy mbaqanga township music, headlined the night with colourful dancing and songs and had the audience dance along to their sunshine rhythms! I might have wished for more upbeat ceildih music from the folk bands, then again this was an evening for Burns songs. There were mentions of inspirational poets and Irishman John Spillane read the poem A Birl for Burns, by the celebrated Irish poet Seamus Heaney, who died last year. Bongani Tembe gave a moving tribute to Nelson Mandela. Participants spoke of how Burns had influenced them. Alkinoos Ioannidis said it was by knowing each others poets that we might better understand other places. Perfect folk voices along with the orchestra and ceilidh folk instruments wove music magic at this concert and were interspersed with Burns poetic words. A night Burns would have been proud of! The evening was supported by Homecoming Scotland. music, gigs, reviews, photos, Burns International Concert. The Hydro. 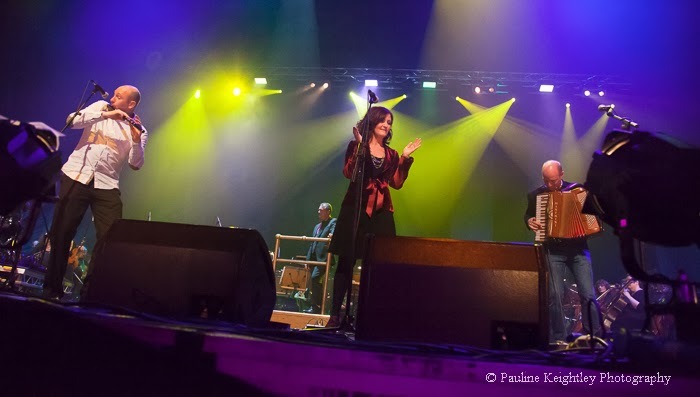 Glasgow Celtic Connections 2014.